Phillip J Lederer has taught and researched operations management at the University of Rochester since August 1984. 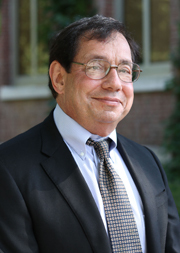 Professor Lederer has research interests in operations management and its integration with economic theory. His current re­search focuses on three areas: the financial justification of manufacturing technology, performance evaluation in operations and competition in network-based industries. His work has appeared in Econometrica, the International Journal of Flexible Manufacturing Systems, the Journal of Manufacturing and Operations management, the Journal of Operations Management, Operations Research, Operations Research Letters, Regional Science and Urban Economics and Transportation Science. Lederer is associate editor of the International Journal of Production Economics and an occasional referee for Econometrica, the Journal of Accounting and Economics, Management Science, Operations Research and the Review of Economic Studies. A major interface between finance and operations is a firm’s capital justification process for investments, by which we mean the set of activities to evaluate and approve a project proposal, and to tie the project’s performance to managers’ incentives. We study how project choice and inherent project risk interacts with agency problems associated with managers who propose and execute projects. This is important for operations projects due to today’s rapidly changing markets and by technological change. Our main insight is that even for a risk-neutral firm, riskier projects are less profitable because they are associated with higher costs of providing incentives to managers.